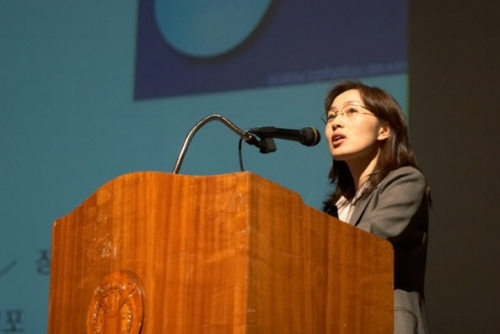 Professor V. Narry KIM of the Institute of Basic Science and Professor Jin-Soo KIM of the SNU Department of Chemistry have developed a new technology to eliminate specific microRNAs. This microRNA control technology could potentially be used to cure cancer and other illnesses. The research team used TALENs (enzymes) to separate certain microRNA from a cell. TALENs had previously been used to create protein, but this is the first time they have been used to separate microRNA. The research team developed 540 different TALENs for this specific purpose, and when applied to cancer cells, the proliferation rate of cancer cells fell to one third of what it was previously. This development was published in the November 11 edition of Nature Structural and Molecular Biology.